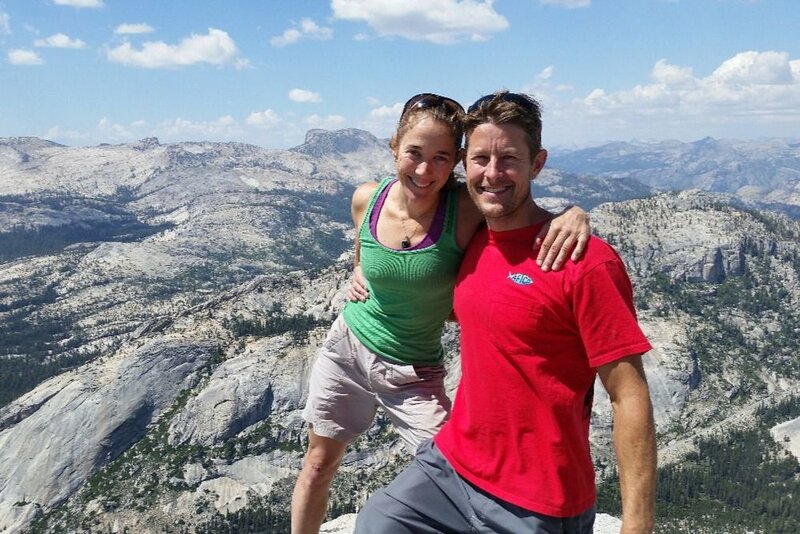 For Becky Wells, the unimaginable happened on June 2nd when her beloved husband, father of her unborn child—Jason Wells—fell to his death in a climbing accident as he scaled the face of a rock formation he’d climbed without incident many times before. Jason and his friend, Tim Klein, both elite climbers and long time friends, had been climbing partners since their college years. Jason often flew to California for the weekend to meet Tim, who lived there, as he did at the beginning of June, so they could climb together--this time El Capitan in Yosemite National Park. They weren't risk takers or thrill seekers, instead they loved the consistency of climbing familiar territory, and had climbed El Capitan together a number of times in the past. But this time something went terribly wrong and they both fell to their deaths. We are all profoundly saddened by the loss of our friend and fellow student, Jason and we are filled with heartbreak for Becky at this difficult time. At the Yoga Workshop Jason has been a familiar face and presence for over 10 years; quiet, strong, dedicated, but gentle, non-competitive and certainly not fanatical in his practice. He practiced with style and a sense of humor. He was one of those community members who came and went without drama, working slowly and diligently as he explored new poses, but not grasping onto form or advancement. He was a natural from the beginning. He was soft spoken, humble, curious about and receptive to the form. He stuck with the practice through easy and more difficult phases of practice and life. Jason just showed up. He practiced in a steady, sensible way, thereby contributing immeasurably to the grounded and stable background quality that is essential in a Mysore room. A couple of years ago, Jason brought his wife, Becky to practice and she too was a natural--her sparkle and humor is ever evident when she steps into the room and onto the mat. Both Jason and Becky are what teacher’s dream of—genuine, enthusiastic students who connect to the practice as much as a means of bringing balance and integrity to the forefront of life as anything else. Practicing to reveal their own minds to themselves rather than trying to prove something through “advancement” in the form. Jason was a fixture in the lives of many of us teachers at the studio—knowing him so well from the frequent interactions, while—as it often is with students and teachers in a Mysore room—not knowing each other outside the room much at all. Yet Jason represented, in my mind, the kind of person yoga is designed for. Someone who is searching for the intersection of stability between mind, body and spirit, one who takes the residue from the practice into life—keeping the practice in check by fostering a full and active life outside the studio. We will miss you Jason! Our love and support are with you Becky. Shayan and Ty have started a Go-fund-me online donation fund specifically for Becky to help during this time and for the pregnancy. Donations can be made through this link: gofundme.com/jason-wells-memorial-fund.